Editor’s Note: Ripken was a personal witness to much of the content below. For the events and words where the author was not present, great care has been taken to recapture and relay the words and events as exactly as possible. Everything expressed here was reproduced through eyewitnesses. 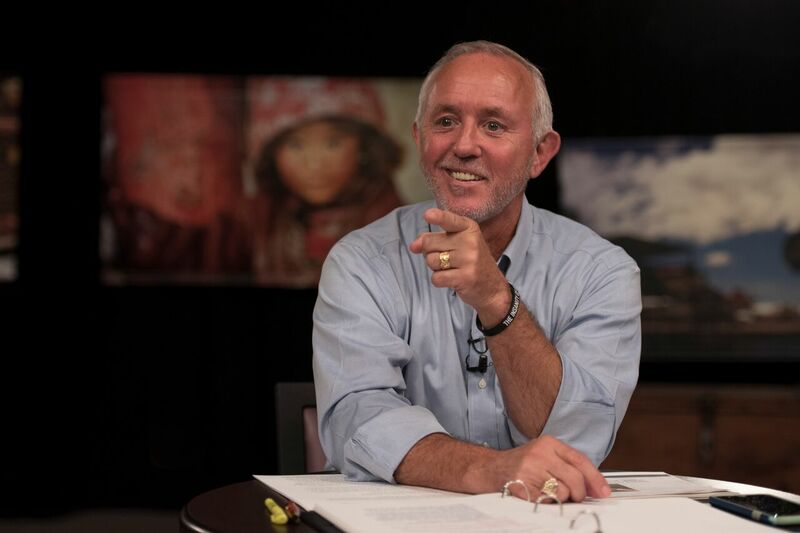 Nik Ripken, a leading authority on the persecuted church in Muslim contexts, was a missionary to North Africa and the Middle East for many years. The founder of Nik Ripken Ministries, he also is author of The Insanity of Godand The Insanity of Obedience. The pastor’s wife approached him, with tears in her eyes, and handed him his cell phone. As apprehension spread throughout the congregation, the pastor listened for quite some time, turned off the device, bowed his head, and handed his cell phone back to his wife. I was working in Mogadishu, Somalia, when my wife called me on the shortwave radio about a meeting invitation. After approximately six months, our team of eight was feeding 50,000 people per day, resettling refugees, running mobile medical clinics, and trying to stay alive in the context of a famine and war zone. I was sure there was no room left on my calendar to add another engagement. But Ruth went on to say that I and one other Westerner had somehow been granted permission to sit among some of the giants of the faith in the world of Islamic persecution. These were men who represented generations of Christian leaders who lived among Muslims and were part of the faith-family attempting to love Muslims in Jesus’ name. This secret meeting was to be held in a remote part of Kenya. With just enough time to fly to Kenya, see my family there, and change clothes, I made it to the meeting. Being with those heroes of the faith throughout the Islamic world was humbling. Particularly impressive were some close friends from Iran. One pastor sitting next to me was asked to give a 15-minute testimony. He testified for over two hours. He talked about what God was doing in his country, especially since the Shah was kicked out of Iran and a conservative form of Shia Islam was installed. He bore witness eloquently and specifically. Believing that he was in a safe space, he shared feelings, dreams, and information that he dared not speak about outside this location. For the next few days, he and others opened a door concerning faith inside Islam that I did not know existed. Soon I returned to Mogadishu and the overwhelming needs endemic to that place. It was about two weeks later that Ruth called again on the shortwave radio. Her voice trembled as she informed me that Pastor H — the evangelist who had spoken so boldly at our meeting in Kenya — had disappeared. His fellow believers in Iran were certain he had been taken by the security police … and they feared for his life. The historical Christian community, as well as Muslim-background believers, were deeply concerned that his “arrest” might be an indication that widespread persecution was again becoming reality. Ruth led our Kenyan family in intercessory prayer as those of us in Somalia joined in. A couple of weeks later, a historic event took place at a church in Iran. Approximately 38 men and women from a Muslim background were ready for believer’s baptism. The church was packed — as much as security would allow — with these new believers lined up from the altar, down the aisle, and all the way to the rear of the church. Within Islamic settings, Muslims equate baptism with salvation. Seekers from Islam investigating a relationship with Jesus Christ can explain away many of their activities. If they’re discovered reading the Bible, they can claim they are studying it in order to debate Christians more intelligently. If they’re seen sneaking into a church building, they can excuse such behavior in the same way. If seen talking to a pastor or some Western Christian, seekers can suggest that they were simply observed witnessing, lifting up the attributes of Islam. But they can’t explain away baptism — there is no acceptable excuse. Muslims believe that at baptism, a person no longer belongs to Islam but to Christianity. They have left one community and joined another. The local community says that when converts are baptized, they have left Muhammad and joined with Jesus. At baptism, persecution soars because identification with Jesus is real, irrevocable, and forever. Baptism is the point of no return. Inside the church’s baptismal pool stood a leader from the secret meeting in Kenya. Pastor H, who had been missing for weeks now, was his colleague and friend of many years. As this preacher finished his message, he began to prepare for baptism. He looked surprised when he saw his wife approach. Such behavior was unusual, and his concern grew as he saw the tears in her eyes. She held out his cell phone, and his heart sank when he heard the news from the caller. “Pastor H is dead,” he relayed to the gathering. “A Muslim friend of ours has just called to say that he watched as pastor’s body was taken from the back of a truck and buried in an unmarked grave. He said it was obvious that pastor had been tortured before being killed. “Your pastor is dead,” the leader continued. “The man who loved you enough to tell you about Jesus, giving you the opportunity of eternal life, has been killed because of his faith. This is the cost of following Jesus. There is a spiritual war taking place today, and Christians must choose to be on one side or the other — there is no middle ground. In the months following the martyrdom of Pastor H, we learned that he was betrayed by someone pretending to be a follower of Jesus. As predictable as the sun rising in the East is the fact that when God begins a new work, when the Holy Spirit is about to birth a new church, Judas is always a reality. When there’s something worth betraying, the betrayer shows up: Judas is always a “tipping point.” If those new to Christ focus on Judas and his betrayal, then it will take the scattered faithful many years to recover. If new believers focus on Jesus and His resurrection, then a movement of God is near. Judas causes people to be killed. Jesus brings new life and raises us from the dead. Experiencing Judas without experiencing Jesus is terrifying. Not one person walked away. Much like the ministries of Dr. Ripken, World Help encourages and supports persecuted believers in closed countries around the world, including secretly distributing Bibles in Iran and North Korea. Another way you can help spread the Gospel is by becoming a Bibles for All Ambassador, providing five Bibles every month to people who have never owned one. Believers around the world are begging for the truth and comfort found in God’s Word. Will you answer their plea? About the author: Nik Ripken is the world’s leading expert on the persecuted church in Muslim contexts. He and his wife, Ruth, are missions veterans of 35 years, having served primarily in North Africa and the Middle East through the International Mission Board of the Southern Baptist Convention. He is the author of The Insanity of God and The Insanity of Obedience. He and his wife currently serve as global missiologists, having done extensive research on the persecuted church and Muslim-background believers in more than 70 countries. He is the founder of Nik Ripken Ministries.